For many parents, the thought of taking a road trip with their children is about as enjoyable as having a physical exam at their doctor’s office. With some simple preparation however, driving long distances with children in the back seat can actually be fun. Driving the thousands of interstate highway miles can be enjoyable because of safety and technology advancements. Whether you are traveling as part of a great travel club, or are loading up the mini-van for a trek to see the grandparents, a little extra preparation can go a long way. Before setting out on the road, make sure your vehicle is in working order and prepared for an emergency. Bringing a car in for routine oil change will ensure that the vehicle has correct fluid levels and tire pressure. Plan for the season. If the road trip is in the winter, pack extra blankets and at least one snow brush/ice scraper. If the road trip is in the summer, pack extra bottled water and sunscreen. Make sure your trunk has a basic emergency kit containing a flashlight, extra batteries, snacks, an orange safety triangle, emergency phone numbers (like poison control), and first aid supplies. Have some pre-vacation fun packing the emergency kit together. If you’re renting a car, pack it with all of the necessary safety equipment. Select a car that will be comfortable for the entire trip, with enough space for luggage and souvenirs. Most rental agencies have several vehicle choices, so choose the one that has the best safety record and is the most child friendly. Since accidents can happen, check with your insurance companies to confirm their rental car coverage. Check your car seats and boosters. In the car, children are safest riding in a car seat or booster seat. Before getting on the road, stop at your local fire station to be sure your child seat is correctly installed. All children age twelve and under should sit in the backseat of the car to avoid being hurt by airbags. Pack snacks. Buying food on the road can be expensive and unhealthy. Use a small cooler and stock it with quality food– this will actually save money on the road. Juice boxes, baggies of favorite cereals, cheese sticks, fresh fruits and veggies (don’t forget the dips), and crackers make excellent road trip snacks. Involve your children in the snack shopping for the road trip. Having a small trash container in the backseat just for the kids will keep the car neat and clean. Treat stopping as an adventure rather than a nuisance to make your road trip becomes more enjoyable. Many rest stops have picnic areas or grassy areas, which are perfect for letting children burn a little energy. Some rest areas have designated dog walking areas, so parents should read the signs so they don’t have to scrape off their children’s shoes. Stopping at a fast food restaurant with a play area may be a good option, too. Play areas are dirty places; children will need their hands washed before hitting road. Pay attention to road conditions. If visibility and/or road conditions deteriorate, drivers should find a safe place to pull over until conditions improve. Safety is more important than arriving quickly. If parents stay calm and react rationally, children will learn to do the same. Be safe with technology. As technology can keep us safe, some technologies are actually very dangerous. Texting and talking on the phone has proven to be dangerous to do while driving. School-age children can send a text for a parent. Phone calls can be made while watching children run around at a grassy area at a rest stop. The same goes for putting on make-up or attending to the GPS: a little advance planning keeps everyone safe. Driving conditions can be very different outside of the United States. International vacationers often prefer to hire a driver using recommendations from friends or family. 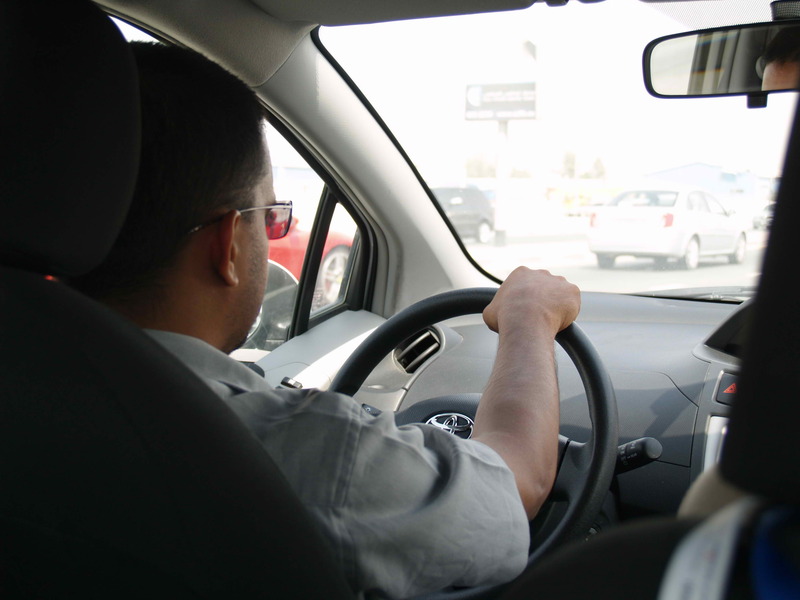 If hiring a driver isn’t realistic, get to know the rules and regulations for driving in the foreign country. Some countries require vacationers to get an International Driving Permit. A little preparation and safety awareness can make a vacation memorable for all of the right reasons. Aaron Schulman is married to Jennifer and they have three wonderful daughters. They home-school their teenager, and enjoy cooking together, writing, good music, guitar, and rolling around on the floor with their little ones. They also enjoy taking small, spontaneous trips to the local market, the flat corn fields of Ohio (getting lost and found again), and visiting grandparents to build family memories. Aaron is also an avid web publisher and web developer, and enjoys writing articles as well as reading and writing acoustic guitar reviews – recently doing much research on Baby Taylor guitar reviews.